NIFT 2019 Result has been Declared on 26th March 2019. 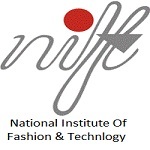 NIFT full form is National Institute of Fashion Technology it is a national level examination. The entrance exam is organized by the National Institute of Fashion Technology (NIFT). NIFT 2019 Situation Test Call Letter has been Released now. Through this exam, candidates can get admission in various UG and PG courses in the field of fashion and technology. Candidates can get admission into B.Des, B.F.Tech, M.Des and MFM programmes. NIFT exam is organized once per year. CAT (Creative Ability Test) and GAT (General Ability Test) is organized by the University for admission. In this article, candidates can get of NIFT 2019 containing Exam Dates, Application Form, Exam Pattern, Eligibility Criteria, and Syllabus, Etc. NIFT 2019 Situation Test Call Letter has been Released now. 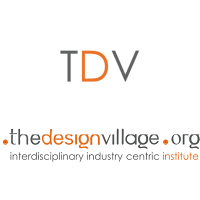 Click Here to Check Call Letter Details. NIFT 2019 Result has been Declared on 26th March 2019. Click Here to Check Result Details. NIFT 2019 Test Centre for Situation Date & Exam Centre has been Started for Shortlisted Candidates (B.Des). Click Here to Check Details. NIFT 2019 Registration can be done till (for foreign nationals/SAARC/NRI) on 30th April 2019. Click Here To Check Application Details. NIFT 2019 Registration can be done till 3rd January 2019 with Late fee. Click Here to Check Application Details. NIFT 2019 Application Form Correction (Edit) has been Started from 29th December 2018. Check here for application form correction details. Here, an Exam Date of NIFT 2019 is provided, candidates should know the events which will be held on particular dates. Events such as online registration starts, Last date for registration, Application correction window, Release of admit card, Exam date and Declaration of result etc. NIFT 2019 Result has been available on the official website. In order to download the NIFT 2019 result, candidates need to enter their registration/roll number as well as the password on the official portal. Group discussion, interview, situation test will be conducted after the result declared. And it will be declared in the month of June 2019. NIFT 2019 Admit Card will not be sent to any candidates individually. If candidates find any discrepancy in the admit card candidates have to contact the officials immediately. The NIFT 2019 Admit card will be issued online on the official portal. 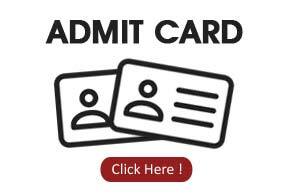 Candidates need to carry valid admit card at the examination hall. NIFT 2019 Application Form has been Started on 22nd October 2018 and the Last date for registration is 28th December 2018. Candidates have to submit an application before due dates. There is No offline application form will be issued. NIFT 2019 Registration has been Started on 22nd October 2018. NIFT 2019 Registration Last Date is 28th December 2018. NIFT 2019 Last Date Online Registration for (Foreign Nationals/SAARC/NRIs) 30th April 2019. NIFT 2019 Registration Last Date (With Late Fees 5000/-) is 03rd January 2019. If candidates want to change or want to make a correction can be done during the correction window. Candidates must keep the printed copy of the filled application for future use. Candidates have to pay application fees according to candidate’s category wise. Payment of fees can be done through online mode. Keep copies of filled application form for further use. Non-Refundable Fee for General/OBC (Non-Creamy)Category: Rs.2000/- through payment gateway or Demand Draft. Non-Refundable Fee for SC/ ST/ PWD Category: Rs.1000/- through payment gateway or Demand Draft. Candidates must read full Eligibility Criteria of NIFT 2019 exam. Before applying candidates should check whether they are eligible to apply or not. Check criteria according to various UG and PG courses, because different courses have different eligibility criteria. The maximum age limit will be 23 years as on 1st October 2019. The Entrance Exam will be held 20th January 2019. The exam is conducted in offline mode pen and paper-based mode. All candidate have to complete paper within 120 minutes (2 hours) for B.Des & M.Des. Exam Mode: The examination will be conducted via pen and paper-based mode. Medium: The question paper will be asked in the English language. Candidates must gather the complete syllabus of NIFT. Candidates should Understanding full exam pattern and syllabus this plays an important role in exam preparation. Candidates should Practice sketching as much as you can. Candidates should Read newspapers or listen to the news this will enhance their general knowledge. Candidates should take proper sleep and keep themselves free from stress. Candidates have to prepare for NIFT 2019 syllabus. NIFT 2019 entrance exam has been divided into two sections, i.e. CAT and GAT. GAT syllabus for M.Des/B.Des courses contain topics such as Quantitative Ability, English Comprehension, Analytical Ability, Communication Ability, General Knowledge & Current Affairs. And for CAT test will judge the ability, power of observation in concept development and design ability of the candidate. 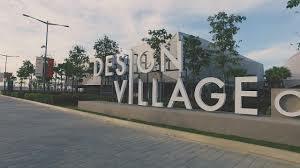 Candidate will be tested the creative and innovative use of color and illustration skills. After the result declared NIFT counseling 2019 will be started. Candidates have to attain admission rounds like the interview, group discussion, and situation test. Candidates have to carry their documents and their photocopies at the time of admission. On the basis of rank, category, availability of seats and performance in the admission rounds candidates will be allotted admission. Candidates will be allotted seat in colleges/university those who have scored good marks in the entrance exam. In table NIFT 2019 exam centres are mentioned for reference. Candidates want details regarding NIFT 2019 exam centre they can check on the official portal.